The rejuvenating benefits of shea are already well-known to many: This luxurious butter protects skin against damage caused by UV rays, prevents wrinkles from forming, and soothes and moisturizes irritated and chapped skin. And we particularly love the shea butter products created by Alaffia Skin Care, because of their corporate mission to alleviate poverty and advance gender equality in West Africa through fair trade. Check out our featured video in this week’s newsletter for more on this progressive company. It’s not St. Patrick’s Day, but we’re featuring a “green” beer this week — “green” as in “environmentally friendly.” Sierra Nevada is committed to protecting our environment through energy efficiency, recycling, heat and C02 recovery, water conservation, and solar and fuel cell technology. Plus, they make a darn tasty beer! 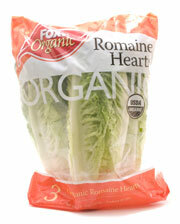 Save green and be green this week with great buys on organic produce grown right here in our home state. 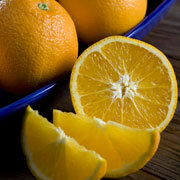 Large Navel Oranges. $.87/lb, save $.92/lb. Organic Strawberries. 2/$5, save $4.98 on 2. $2.50 each. Visit the following Nugget Market locations for our wine-tasting events, 5 p.m. — 7 p.m.
El Dorado Hills: Regal Wine Co.
Nugget Markets hosts another tasting table for guests at this year’s Taste of Elk Grove, hosted by the Rotary Club of Laguna Sunrise to benefit its community programs. Now in its 6th year, Taste of Elk Grove will take place at the Asian Sports Foundation facility from 6 p.m. to 9:30 p.m. For more information, please call (916) 525-2485. Now in its 23rd year, the Annual Solano Wine and Food Jubilee will take place at the Nut Tree Complex in Vacaville on Friday, April 23, at 6:30 p.m. Nugget Markets will offer guests free tastings of a selection of delicious foods. This event benefits the NorthBay Hospice programs. For more information, please visit wineandfoodjubilee.org. Prices valid 4/14/2010 - 4/20/2010. In celebration of Earth Day, we had the privilege to meet with the owner and founder of Alaffia Skin Care, who is doing some amazing things to brighten our world. 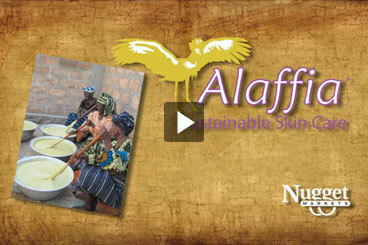 See first hand who benefits from fair trade, empowerment and sustainability. This recipe features Fresh to Market Boneless Skinless Chicken Breast in the value pack, which is on sale this week for only $3.99/lb. 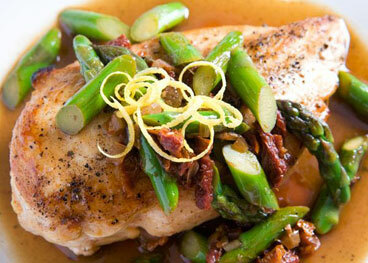 Fresh to Market Free Range Chicken is locally and humanely raised, with no added hormones. And the best part is, it’s available at a lower than conventional price! Can it get any better than this? 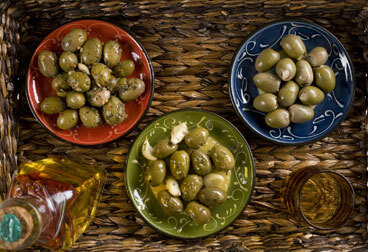 These all-natural, California-grown olives are truly the cream of the crop. Sustainably grown and hand-harvested, you can tell there is a lot of love put into each batch produced. Available in a variety of flavors including Meyer Lemon/Gilroy Garlic and Point Reyes Blue Cheese Stuffed, you’re sure to find a flavor for all occasions. Save $2/lb. Selection may vary by location. On this 40th anniversary of Earth Day, many of us already take steps such as recycling glass, plastic and paper that help protect our planet. Using a reusable bag when grocery shopping, along with other eco-friendly steps, can lessen your impact on the Earth. Buy organic: Whether produce, milk, eggs or even ready-to-eat cereal, organically grown foods are produced without the use of pesticides, herbicides or growth stimulants, which ultimately lowers fossil fuel use and the levels of potentially harmful chemicals in the environment. Go local: Look for “locally produced” signs in the produce section and on shelves, which indicate the item was grown or produced nearby and less fuel was used to transport it to market. (An average food item travels 1,500 miles from farm to market!) As a bonus, locally grown produce may mean greater nutrient content since the fruit or vegetable was picked at its peak of freshness. Select sustainable: When we say a food is grown in a “sustainable” manner, it means that care is taken to not harm the environment. This is achieved by recycling waste on the farm, as well as minimizing transportation costs and fossil-fuel use. Sustainability also indicates that the animals, environment and workers are treated humanely and with respect. Minimize packaging: Buy in bulk when you can for dried fruits, nuts, grains, and beans. Look for packaging made from recycled and/or recyclable materials such as cardboard, and avoid Styrofoam when you can. Select larger bags and boxes of products, and then scale down portions in small reusable containers.